For some crazy reason I am finding choosing a Honeymoon pretty stressful. I am extremely lucky that I have been able to travel to some amazing destinations in my life so choosing something as special as a honeymoon is just so hard. We are trying to choose a destination where neither of us have been, somewhere we can relax but also has plenty of activities to do and places to eat! We have decided to go in to a travel agent, give them our budget and dates and hopefully get them to help us out. In the mean time Im still looking at lots of beautiful locations and gathering inspiration. I thought i'd put together a post all about the various locations I believe would be an amazing place to go on Honeymoon. 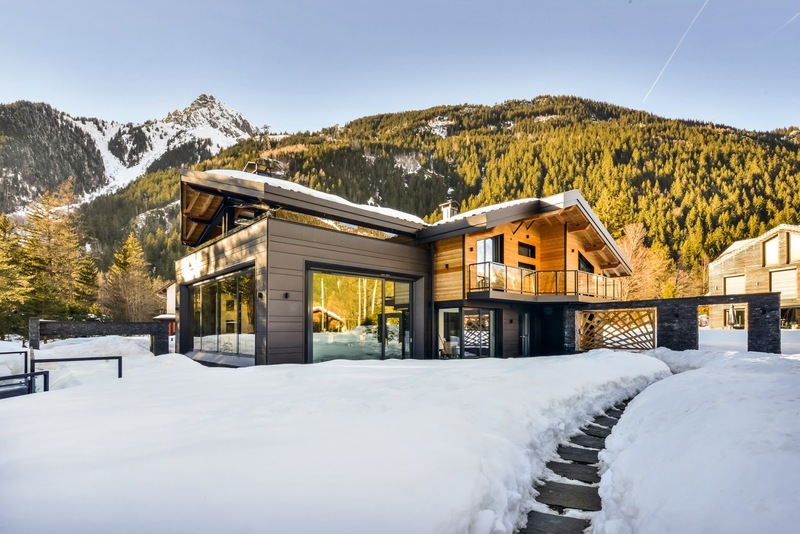 Luxury Ski chalet in France. In an absolute ideal world I would LOVE to go to a luxury ski chalet in France. Darren and I met while we where on a skiing trip so going on honeymoon would be so cute! We have never been skiing in France so that fits the criteria of not visiting that country. These chalets look insane so would be prefect to relax in (especially in those that have a hot tub!) but also gives you things to do during the day. I love the idea of having your own private chalet, it could be really romantic drinking wine by a big fire (or again in the hot tub) some of them even have indoor pools and saunas! We are planning on heading on honeymoon straight after the wedding in August so not really the best timing for a ski holiday however, theres nothing stopping us heading here another time! Some of them are big enough to take the full family so maybe thats the next trip I need to plan. Even the name sounds luxury. The Seychelles wasn't particularly on my radar until looking in to top honeymoon destinations, it kept coming up and I thought I had better check it out. A particular resort I keep seeing it the Banyan Tree which looks incredible. Overlooking one of the world’s most magnificent beaches, this charming resort combines traditional colonial style with a rustic design that reflects the beauty of its stunning natural surrounds. With spellbinding views and a secluded setting, it’s perfect for honeymooners in search of blissful privacy and low-key relaxation. 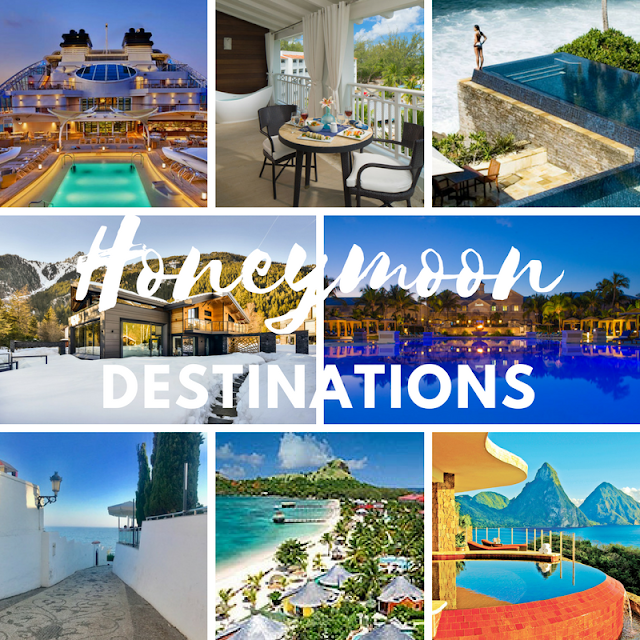 So if you have had a look in to a honeymoon you will 100% have come across Sandals.They are the ultimate luxury destinations so I thought they would deserve a little mention. My favourite resort they have is the Emerald Bay in the Bahamas . Its such a beautiful resort AND you can go swimming with pigs close by, how cute! if thats not a reason to go then what is. I have been to the Dominican Republic in the Carribean and I didn't particularly like it however I would be up for seeing some of the other islands. I really like the idea of St Lucia too, it looks beautiful and has lots of fun activities, just what I need. 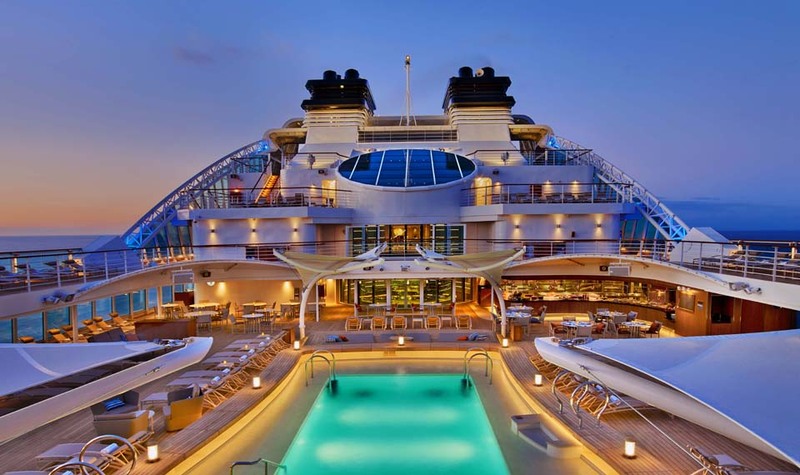 Neither of us have been on a cruise before but we have heard they can be amazing! its not even something I considered at first however I am thinking about it more and more. After lots of research I have found you cans tay somewhere for a week then travel the seas. The only downside is that you are governed by the sailing dates. We would really like to go on honeymoon 2 days after our wedding however by choosing a cruise this may not be an option. They seem to be fairly reasonably priced too which is great as that gives more room to add extras on such as the airport lounge or a room upgrade! I really like the idea of a Caribbean cruise or even just a european as they often stop at capital cities such as Barcelona or Rome which I have been to neither. 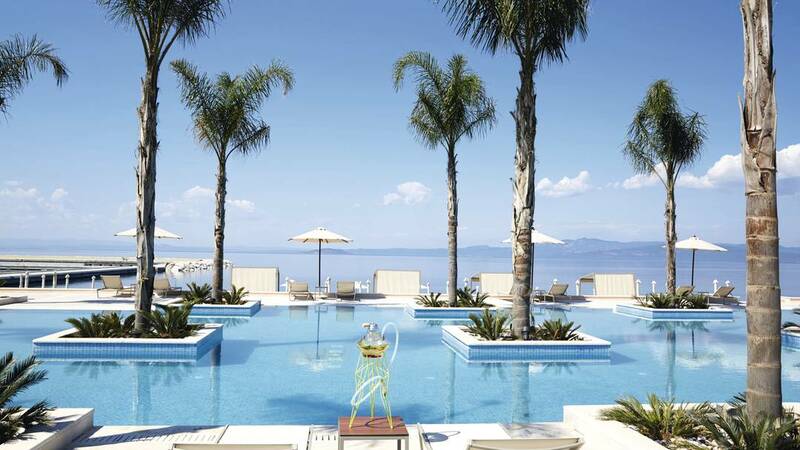 The Miraggio Thermal Spa Resort offers couples an unparalleled backdrop for romance. Wellness weddings and holistic honeymoons are a big new trend and the tailored couple’s treatments in the Mythria Spa allowing couples to experience a lavish ‘Ritual of Hydro-Bliss’ couple’s treatment. This would be prefect for us as we would love to visit a spa - the last time we did was the day we got engaged! Soaking in the awe-inspiring views over the beachfront, the private suites at the Miraggio Thermal Spa Resort sounds like it is perfect for a romantic honeymoon. You can unwind with your partner overlooking an Eden-like setting in your own private pool, or enjoy the resort’s extensive facilities and gourmet restaurants, all complete with stunning romantic backdrops. Sounds like heaven!